Thanks all for your contributions! 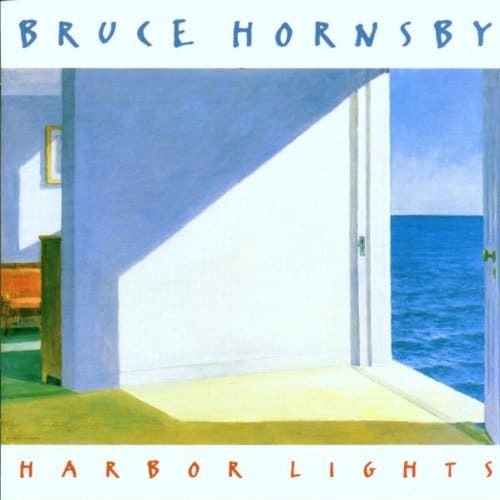 You were asked to score each track on Bruce Hornsby’s Harbor Lights, and we appreciate every single response. It helps build up a more accurate picture. Here are the end results! This was Bruce’s debut record with a solo credit. His band at this point is effectively a trio with guests. John Molo played drums and the Yellowjackets’ Jimmy Haslip featured on bass. Jerry Garcia, Phil Collins, Bonnie Raitt, Branford Marsalis and Pat Metheny guest. This was a big jump from Night on the Town. Disbanding the Range was the first major change in career direction for Bruce, and I remember the initial reaction. The tour with Jimmy Haslip in ’93 soon put paid to any doubts, and the high marks on this survey prove the point. The title track gets the highest score since the first record. It currently stands third in the all-time list of songs since we started this project. Of course, we have several records to come! 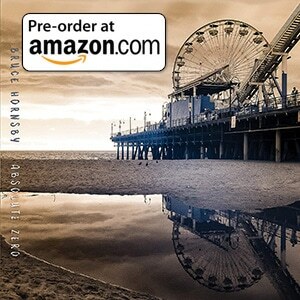 All Music: “All Music review: Leaving behind the Range, Bruce Hornsby trades heartland rock for a cooler, jazzier sound with Harbor Lights, an album that nonetheless retains his affinity for sincere portraits of American life, love, and heartache. The title track is a humid, celebratory song that evokes a romantic summer evening in the South, setting the stage for a collection of humanistic songs. If the album has an underlying theme, it’s the necessity of seeing yourself and the ones you love through the hard times as well as the good. The purely upbeat songs, like Rainbow’s Cadillac and What a Time, are counterbalanced by the sober Fields of Gray and The Tide Will Rise, and the cultural commentary of Talk of the Town. The music is uniformly excellent, with Hornsby’s piano work blending seamlessly into the rich arrangements”. Next up is Hot House. When we’re done with every record, we’ll compare every single track’s score. A big jump in the ratings! Didn’t know where to turn or who to turn to.